When you take the video from the GoPro HERO6 Black, you may get the HEVC video which is wide used in different videos, such as: 4K video at 60, 4K video at 50, 4K video (4:3) at 30/25/24, 2.7K video at 120, 2.7K video at 100, 1080p video at 240 or the 1080p video at 200. HEVC is a different codec for the high-end video modes which is known as HEVC (for High Efficiency Video Coding) or H.265. It's a newer, better codec. Step 1. After the Handbrake download and installation, click on the Open Source button. Step 2. Select the HERO6 Black HEVC file or files to convert, when you choose the videos well, Handbrake will do a quick scan of them to gather the information about the encoded file and enter some of that information into the appropriate fields. Step 3. 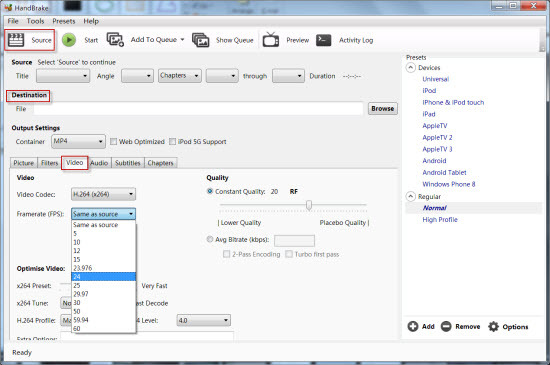 Choose encoding settings, you also can adjust the video related parameters, like the video encoder, video framerate, video quality, etc. We take one video as example for you. Pavtube Video Converter Ultimate is the dream video converter we want to recommend for you, this software has the high stability which can work on the Windows and Mac OS well, even including the latest windows 10and macOS High Sierra. With the user-friendly interface, you can master this software in 3 minutes. You can load the multiple HEVC videos to it, the high stability allows you to do batch video conversion. 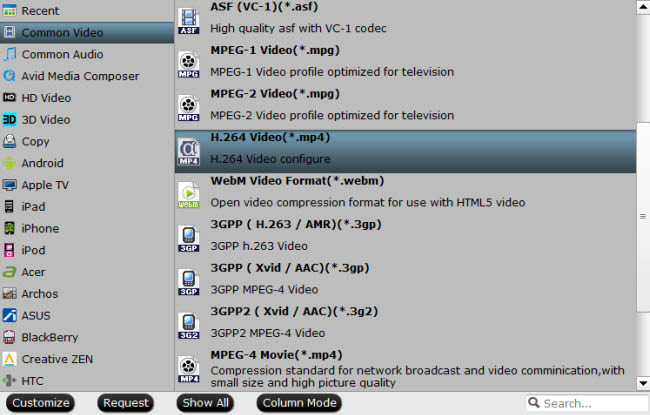 At the same time, 300+ video formats are ready for you, like the MP4, WMV, AVI< FLV, VOB, etc, choose one you want. Except the abundant video formats, you also can choose the video with different video quality,you can get the SD videos, HD videos, you also can get the high 4K videos. If you a 3D fans, congratulations, you can get the multiple 3D videos from the common 2D videos. You also can adjust the video codec, video frame, video bitrate, video resolution, audio channels, audio codec and other detailed parameters. If you want to edit the video for uplaoding to Youtube, Facebook, Vimeo by cutting the videos, adding subtitles to videos, adjusting the video background color, etc. You can click the Format button to select the output video formats you like, you can choose the MP4 video, MKV video, WMV video, AVI video, you also can choose the video from the device preset, like the iPhone, iPad, Android devices, NLE software, TVs, Game console: PS4 Pro, Xbox One, etc. You also can do some video settings by clicking the Setting button, here, you can get the smaller video size by adjusting the video frame, you also can upscale the SD/HD video 4K video or compress the 4K video to HD video by adjusting the video resolution. About the audio, you can choose the audio channels for getting better hearing effect. After all the video options and settings are finished, you just need to go back to the main interface and press the Convert button to start the video conversion. If you choose the H.264 video, you can get the 30x faster speed than other common videos which takes full use of the GPU acceleration.